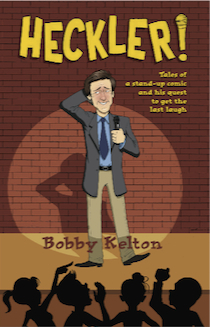 Comedian Bobby Kelton has accomplished what many can only dream of: he has appeared on “The Tonight Show” 21 times, in addition to over 100 other shows, including “48 Hours,” “Hollywood Squares,” and “Evening At The Improv.” After graduating from Syracuse University with a degree in journalism, Bobby began working as a sportswriter for the L.A. Times. But driven by a desire to really put his college education to good use, he decided to go into comedy. Bobby has appeared regularly in Las Vegas and Lake Tahoe, opening for Tom Jones, Paul Anka, and Gladys Knight. His classic observational style appeals to people of all ages. He continues to be a headliner in theatres, cruise ships and nightclubs, and he often donates his comedic talents to an array of charitable causes. He’s also made a niche for himself as a highly regarded sports humorist, having hosted home videos like “Greatest Sports Bloopers,” and “World’s Worst Avid Golfers.” Bobby’s been featured on shows such as NBC’s “Sportsworld” and ESPN’s “Up Close.” And he’s performed and emceed at many corporate sports events, including Sports Illustrated’s Super Bowl extravaganza, and the PGA Golf Awards.